The charm of this necklace can be attributed to the brilliance of lab grown diamonds as well the attention given to minute designing details. It showcases bezel set, eco-friendly rocks that are spaced out on a fine chain to create the classic 'diamonds by the yard' design. 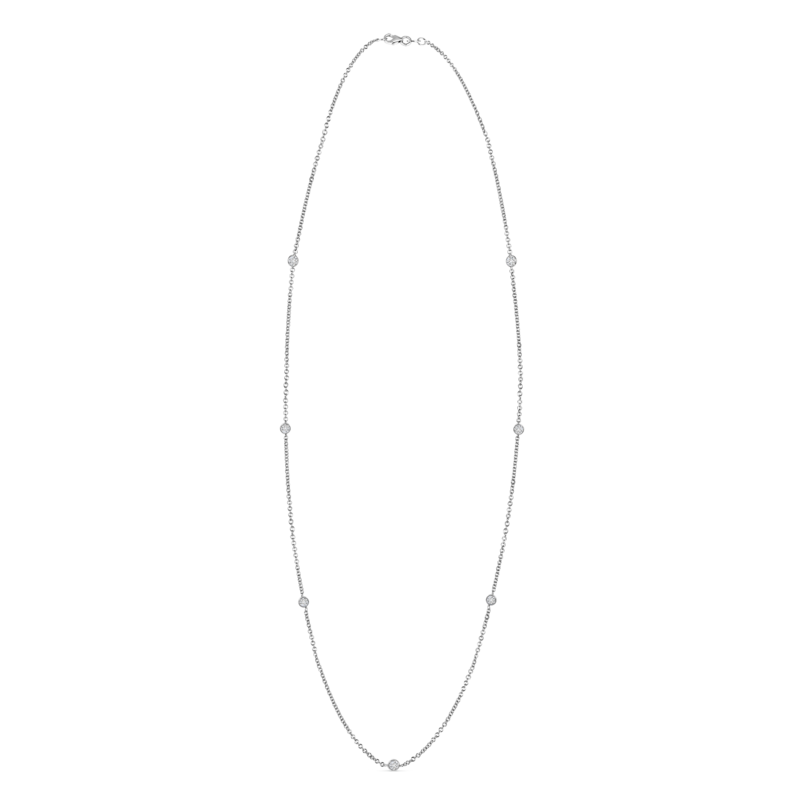 Small metal loops that connect all the diamonds together form an integral part of the pattern. The glorious diamonds dazzle endlessly, while the sophistication of the 14k white gold metal makes the perfect background for this alluring piece of jewelry.